Ipv6 ISATAP tunneling | CCIE, the beginning! used for a wrong purpose like I’ve been experiencing last few weeks. My pc at home and notebook have been hacked by a docent on this way who gives us networking lessons at school.He gained his first access via vmware at school which I had to give permission for to learn building servers and related applications. He could easily get the ip and mac adresses of my notebook and also information about my network at home. He gained full controle on my other pc with Windows XP and has brought it to a unusable state. He has also reserved some of the ports for himself on my notebook with Windows 7 which are no more under my controle. Up to his wish he is making changes on my system and I don’t know any good advice to get rid of him. When I disable isatap,teredo tunneling for pseudo interface services and TCP/ipv6 protocole my system is crashing and I’m being obliged to make a system recovery(it’s also possible only for a few system recovery points) which results with his gaining his access back. School management don’t want to believe this and they even don’t check it out. And the policemen don’t have enough knowledge about hacking and think it’s not possible and also too lazy to ask for permission to check my provider information. And the docent is telling his misuse to the people close to him and showing my personal data as a glorious victory. Every detail which I have told here is true but I don’t know how can I proeve it and also don’t know any good advice to get completely rid of this problem. Thanks in advance. 1- Start by changing ALL your account passwords (financial accounts and other critical data…) by phone or maybe locally, certainly NOT from the same computer! 2- Unplug your computer from Internet and replace your anti-virus and anti-malware by a more efficient ones, generally they are not too expensive(30$-70$). 3- Check the entire PC with your anti-virus + anti-malware. 4- If your PC is “entirely” controlled by the hacker (Trojans, key-loggers, rootkits, remote control, backdoors…) maybe a good idea is to backup your most critical data (after cleaning them of course!) and reinstall your OS from the scratch. You can see what applications or programs are requesting a connection and allow or deny them. 6- If IPv6 is not supported by the firewall, disable ISATAP/teredo IPv6 tunneling because of the risk to bypass your network firewall (or NAT box). 7- Further consider “https”, “secure email connections”, SSL and VPN clients for your data transmission over the Internet. 8- And remember being safe in not only a question of software or hardware or technical threats, but mostly “social engeneering” and your behavior concerning things like: email-links, attachement, downloading, what sites and content to trust and what data you trust to the network. I just checked your ISATAP tunneling lesson which is very good, and quite handy . I think for the results you are using wire shark or Ethreal . I can see in results the tunnle is setuped but why dosent its says “ISATAP tunnel ” rather it says “Internet Protocol Verson 6 “. Because if you setup GRE , on wire shark it will show you GRE tunneling . SO i was thinking what is the logical reason behind that. Secondly i wanted to check the performance of the tunnels ,but i dont know any good software to do that , i have searched on internet but i got only one free software called “IPerf” . So if you can suggest me any software for the performance checking of tunnels. I am using XP for my system , and Cisco routers , so i want to know the CPU usage, jitter , delay etc of the router having a tunnel set uped and traffic going through that . Please kindly if you can help me in that regards . – link to a pdf document illustrating ISATAP encapsulation. For performance measurement you can Jperf (http://sourceforge.net/projects/jperf/) to stress links and for SLA, the amazing Cisco IP SLA integrated feature, more accurate for jitter/Latency/Loss monitoring with great flexibility. First of all, I would like to thank you a lot! This guide helped me a lot to finish my lab! I just have a doubt, I did the same thing that you did, but it didn´t work. So searching in other sites, I saw an example that needed to configure a DNS in router cisco. Then I configured DNS in cisco router and it worked. You didn´t mention anything about DNS, so is it really necessary? The ISATAP tunnel configuration process itself doesn’t require any name resolution configured on the router. 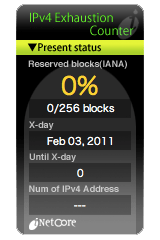 Make sure your configuration works for IPv6 addresses first and then you can deal with IPv6 name resolution and address hosts by their domain name by configuring a dedicated internal or provider DNS server on all your internal hosts, the ISATAP router included, if you want to test reachability with Internet hosts by their domain name. With nowadays ubiquitous dualstack equipements for home and enterprises, I hope you are not considering ISATAP (deprecated) as a transition solution for your network. Thank you for your reply! In fact I’m doing a project for the university with some transition techniques from IPv4 to IPv6 using ISATAP, Dual Stack, GRE over IPv4 and 6rd in their own scenarios. Yesterday night I removed the DNS from my ISATAP scenario (in GNS3), and it continued working, so I think it was a bug. My lab is working with these steps above. Thank you again!